Your home or office may be invaded by legions of many legged small creatures over the next several weeks. Don’t worry, you are not alone. The culprit, Millipedes. To help you identify these invaders, they are about an inch or two long, but aren’t insects. They are arthropods, which are creatures with segmented bodies like Shrimp or Lobsters. The millipedes (their name is exaggerated) meaning “a thousand legs” – can be driven indoors by rain and other weather changes. 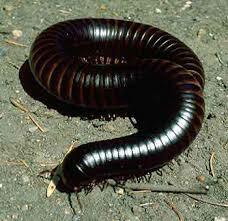 Millipedes live in a moist, dark environment and feed on decaying vegetation. 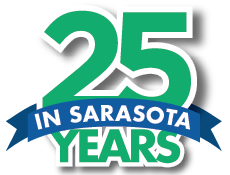 That makes South Florida, with it’s humid climate, a hospitable place for the little arthropods, especially in the summer’s wet season. The worm-like critters eat mulch and dead leaves. They are beneficial, as they help to break down organic matter into a form that can be consumed by plants. 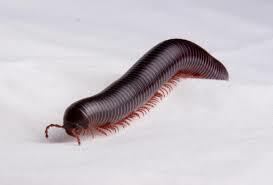 Millipedes generally do not feed on living plants and grass. Anyone who landscapes his yard should bear in mind that mulch is their favorite hang out place. If you decide to change the mulch, the best thing to do is rake out all the old mulch and replace with new. Another way to avoid the intrusion is to rake all of the old leaves out of the yard and to keep the decaying vegetation away. This removes their food source. When they enter the house, they are usually doomed. Within a day or two Millipedes usually succumb to dehydration and their bodies curl into a dry husk. It’s important to stay up on cleaning the dead ones, as they can let off a foul odor. Tip: Throw the dead guys outside! They’ll soon decompose. The good thing is that a millipede is harmless and the outbreak usually only last about a couple weeks. Being that there is nothing to fear from them, it is safe to just grab a dustpan and sweep them up, and place them back into their environment. They’ll be gone before we know it!